Our evaluation is normally applied to the records as a whole, unless there are two main works or groups of works, and by different composers. in this case, each is dealt with separately in its appropriate place. have tried to be consistent, Rosette is a quite arbitrary compliment by a member of the reviewing team to a recorded performance which, he finds, shows special illumination, magic, a spiritual quality, or even outstanding production values, that place it in a very special class. Occasionally a Rosette has been awarded for an issue that seems to us to offer extraordinary value for money, but that presupposes that the performance or performances are outstanding too. The choice in essentially a personal one (although often it represents a shared view) and in a some cases it is applied to an issue where certain reservations must also be mentioned in the text of the review. the Rosette symbol is placed before the usual evaluation and the record number. It is quite small - we do not mean to imply an Academy Award, but a personal token of appreciation for something uniquely valuable. We hope that, once the reader has discovered and perhaps acquired a "Rosetted" CD, its special qualities will soon become apparent. There are, of course, more of them now, for our survey has become a distillation of the excellence of CDs issued and reissued over a considerable time span. The italian pianist, Andrea Bacchetti is a comparatively new name to us but he has already given us an outstanding DVD of the Goldberg Variations, and is a very impressive exponent of this repertoire. His set of the English Suites is very appealing, and can be spoken of alongside that of Perahia. His lyrical flow is most winning, his range of dynamic beautifully modulated, and the dance movements, neatly articulated, are full of character. He plays a Fazioli piano, perfectly suites to the music, and is recorded with perfect realism and naturaless in the Fazioli Concert Hall, Sacile. Andrea Bacchetti performs the Goldberg Variations in the handsome Villa Trissino Marzotto, Trissino, Vicenza in 2006 and offers a ten-minute introduction to them, albeit not particularly revealing, as well as much more perceptive notes. The performance itself is satisfyngly musical, with fine tonal shading and an effortless technique. Very good camera work which never detracts attention fron the music. The set also includes a CD of another, later performance recorded at the Teatro Chiabrera, Savona in 2007. Andrea Bacchetti has given us several oustanding new recordings in the present volume (including an impressive DVD of Bach's Goldberg Variations), but none is more valuable than this set of Cherubini's Six Keyboard Sonatas, published in 1783 but probably written earlier (perhaps 1780). They are most engaging two-movements works, with a strong flavour of early Mozart, but with gallant touches to add charm. Their invention is consistently diverse and in these captivating performances one is drawn to return to then often. 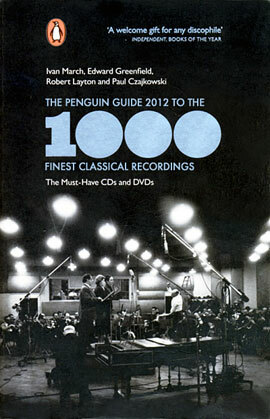 They are beautifully recorded and this is a disc to be snapped up before it disappears. Andrea Bacchetti has already uncovered for us some remarkable piano music of Cherubini. Now he turns to Galuppi, who wrote over 100 sonatas, most of which are still unknow. Those here are of high quality. They are almost always in two movements, usually slow then fast, and playing together for about nine or ten minutes, although the work in B flat included here as an opening Andante which extends to ten minutes in itself. Galuppi's invention is delightful and by no means stereotyped and his music is fully worthy of a modern piano. Bacchetti brings each work to life with his pellucid articulation and always aharms the ear. He is very well recorded too. A disc not to be missed, even though itis not key repertoire. Bach's Klaviermusic (including the 2-Part Inventions and the rather more complex 3-Part Sinfonias) was mainly written in Köthen from 1717 to 1723 for Bach's eldest son, Wilhelm Friedmann, and the Sixth French Suite and Second Partita also seem to come from the end of this period. So for Andrea Bacchetti to include them in his survey seems very appropriate, and they are wholly welcome musically. The monothematic Inventions are simply structured and usually brief, but their very simplicity adds to their immediacy of appeal, with changes of style from dance to fugue, from expressive writing to canon. Bacchetti, who has already given us a first-rate DVD of the Goldberg Variations (Arthaus 101447), plays them with spontaneous freshness and plenty of expressive life, and these two discs make very appealing listening. This set of six Cherubini Sonatas was published in 1783 but was probably written earlier (perhaps 1780). They are most engaging two-movement works with a strong flavour of Mozart, but with galant touches to add charm. Their invention is appealingly diverse, and in these captivating performances one is drawn to return to them often. They are beautifully recorded. The Italian pianist, Andrea Bacchetti, is a relatively new name to us. He is an enterprising artist, willing to explore the keyboard repertoire, and his playing is always distinctive, cultivated and full of life. Benedetto Marcello spent his whole life in Venice serving as a nobleman within the Venetian government. His music had been all but forgotten until two manuscripts of his keyboard music were discovered recently in Venice's Marciana Library. It is of the highest quality, as these splendid performances by the Genoese pianist Andrea Bacchetti demonstrate. Bacchetti has already made a number of fine recordings, including two of the Bach Goldberg Variations, and his understanding of baroque repertoire is outstanding making this superb set of performances, using a highly suitable Fazioli piano, very rewarding indeed, especially as he is beautifully recorded. He articulates the opening Allegro of the Third Sonata, with its repeated notes, most winningly, and follows with a simply played Andante. The Largo slow movements of the Fifth, Ninth and Tenth Sonatas, and the Cantabile and Largo of No.7, are all gently expressive in Bacchetti's hands, yet of considerable depth. Allegros are always crisply articulated and bounce along infectiously, and the interplay of the Presto movements of the A minor and C minor works is particularly engaging. The two separat Minuets make further attractive contrasts. Altogether a most rewarding collection. Yet Bacchetti tells us that it is difficult for Italian keyboard players to obtain engagements outside Italy, as concert promoters tend to identify Italians with opera only!